IOBit will give away its Advanced SystemCare PRO for 24 hours randomly starting from a random time between 20 November and 27 November as a ThanksGiving gift/present. Advanced SystemCare PRO (formerly known as ) is a Windows system utility which provides an always-on, automated, all-in-one PC Healthcare Service with anti-spyware, privacy protection, performance tune-ups, and system cleaning capabilities. This powerful utility has been designed to fix stubborn errors, cleans out clutter, optimizes internet and download speeds, ensure personal security and maintains maximum computer performance automatically. Designed for the latest Windows system environment, speeds up PC and improves reliability. Powerful hard drive defrag and optimization. Next-generation registry deep clean and optimization. Automated working in the background. Defends PC security with extra protection. Quick and extensive clean-up for hard drives. Keeps PC running at peak performance. 100% free 24×7 Technical Support and community support. 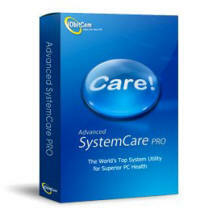 To grab the free Advanced SystemCare PRO v3 1 year license serial code which normally cost (aff) to purchase, just head to the following URL “frequently” between 20 November to 27 November, 2009 on 25th November 2009. Or check back this page or subscribe to My Digital Life comments feed or follow My Digital Life comments tweet so that when somebody posts about the availability of the free giveaway, you are in the know.